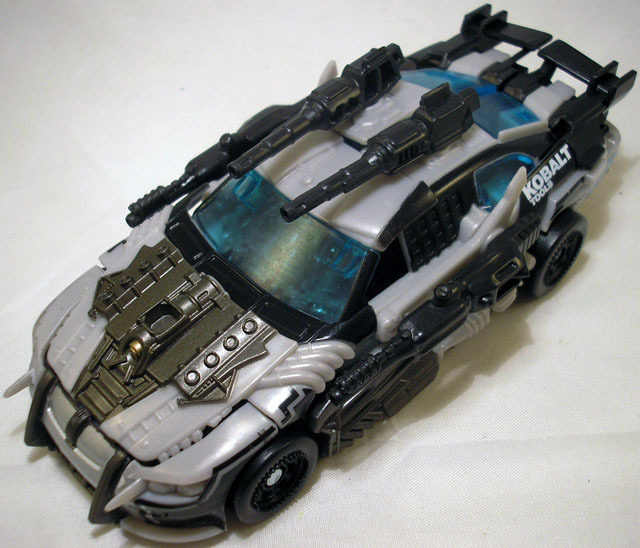 A master driver, this Autobot has yet to meet a Decepticon he cannot outrun or outmaneuver. 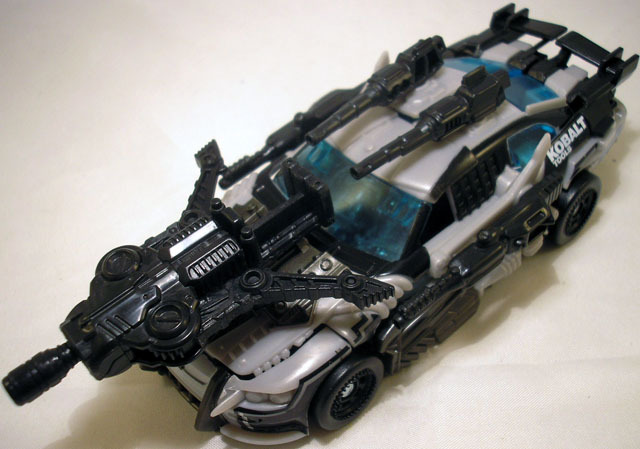 But Autobot Armor Topspin is not all flash and go - he's also a genius weapons designer. 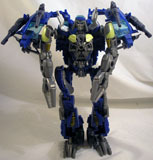 The armaments he carries into battle are some of the most inventive and devastating in the Autobot arsenal! 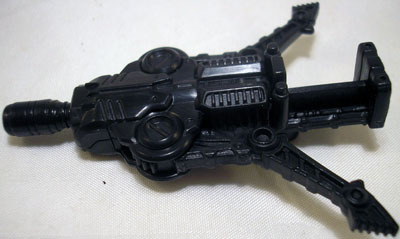 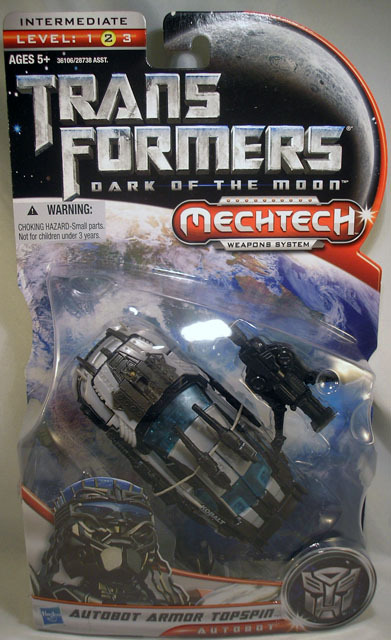 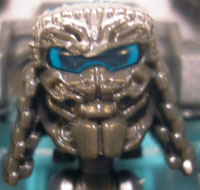 Recolors: This mold was recolored from Dark of the Moon Autobot Topspin (2011). 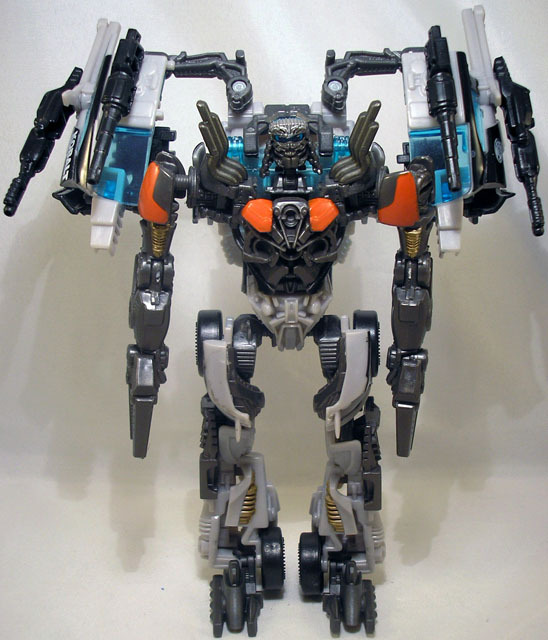 Name Reuses: The name Topspin was reassigned from Topspin (1985) and Transformers Collectors Club Topspin (2008) and was later reassigned to Bot Shots Autobot Topspin (2012), Fall of Cybertron Autobot Topspin (2013), and Kre-O Topspin (2015).